Lighting Concepts Showroom in Trussville is proud to be a leading provider of light fixtures and lighting solutions throughout Alabama. 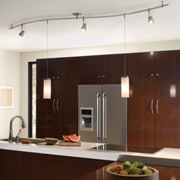 If you’re looking for pendant lighting solutions at reasonable prices, stop by our lighting showroom today. As a Top Rated® Local indoor and outdoor lighting store in Trussville, we are leading the way in high-quality lighting products and design. With more than 29 years of experience in the industry, our lighting professionals have helped hundreds of homeowners improve the lighting in their home. You can stop by our lighting showroom to browse our entire catalog of over 10,000 different pendant lighting fixtures online or by stopping by our showroom. Or you can schedule a comprehensive consultation to ensure we’re fully available when you come in. 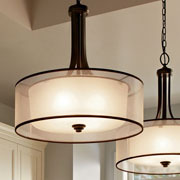 Pendant lights can add elegance and style to your home’s kitchen, dining room, and bathroom. 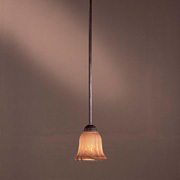 A pendant light is a single light fixture that is suspended from the ceiling by a cord, chain, or metal rod. 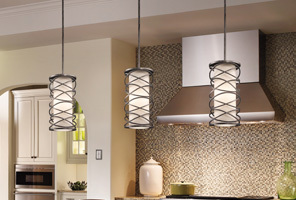 Many homeowners like to hang multiple small pendants in a row for both task and ambient lighting. You can use these lights to brighten the space above your desk or to illuminate the reading nook in your bedroom. Pendant lights come in a variety of shapes, colors, and styles, and at our lighting showroom we’re proud to offer a selection of affordable large pendants, mini pendants, and multisystem pendants. Are There Rules to Finding the Perfect Pendant Lighting? If you’ve never been in the market for pendant lighting, you may be surprised to learn just how many options there are out there for you to choose from. With so many options at your fingertips, it can definitely feel overwhelming when you’re updating your lighting. While there are no hard and fast rules for finding the perfect pendant lighting for a particular space, there are thankfully helpful guidelines to follow. Pendant lighting is very versatile (there are large ones, mini ones, multi pendant sets, and more) but one thing to be considered is the size of the light and the size of the space you’re working with. Generally speaking, if a room is larger you go with a larger pendant. If it’s a smaller room, go with a smaller pendant. Another neat little lighting tip is to use multiple pendants and group them together. This is especially effective over an island table in your kitchen or dining room table. When it comes to pendant lighting another important thing to take into consideration is how you position them. If your pendant lighting hangs too low over the space you are trying to light, you may have problems with taller family members or friends. It also looks a bit awkward and depending on the bulbs you use, could be too bright. Too high and you won’t be able to get the look you want either. If you have an eight-foot ceiling, your pendant lights should hang about one foot to 20 inches below. The amount of distance should increase by 3 or inches for every foot higher the ceiling is. You can also measure from the surface you are trying to illuminate. Three feet or so above most tables or countertops is a good rule of thumb. This is especially important when you’re using pendants for task lighting, say above a work desk. Use dimmers to get the lighting just for any task or time of day. Where Should I Hang My Pendant Lights? 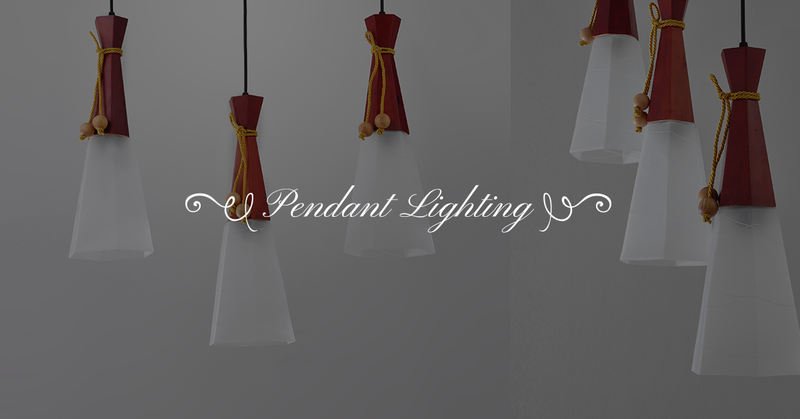 One of the best things about pendant lighting is the number of ways you can use them. You can use them as the ambient lighting feature of your room or for specific task lighting. 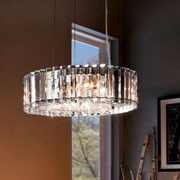 If you live in the greater Birmingham area, drop by our lighting showroom for fantastic deals on top-quality products. Once you’re there, you can speak to one of our expert lighting consultants on what type of pendant lighting system would best fit your needs. 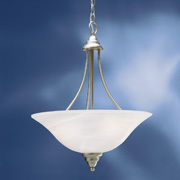 We also offer a great selection of chandeliers, fans, and even outdoor lighting. Give us a call at (205) 255-3111 or contact us to learn more.